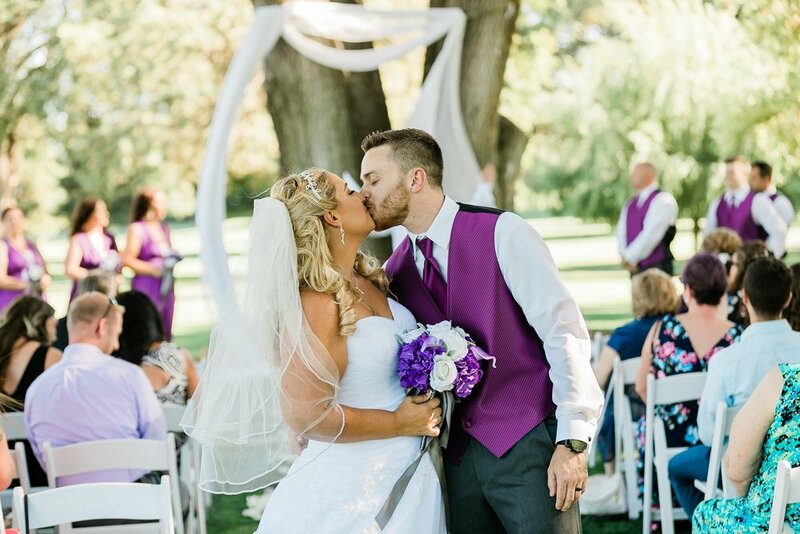 Daryl and Jessica renewed their marriage vow under the beautiful trees of Ripon's Spring Creek Golf & Country Club on June 29, 2018. Daryl stood at the front of the ceremony site with his back turned away from the center aisle not turning around until Jessica had made it to the front. Watching Jessica's face as she slowly made her way to the front with her father at her side, Jessica's face was full of emotion and almost tears as she saw the friends and family that were able to make it to their special day. Ten years ago, Daryl and Jessica had married at a courthouse but wanted to have a real wedding with the loved ones they care most about. Be notified when the gallery is live!